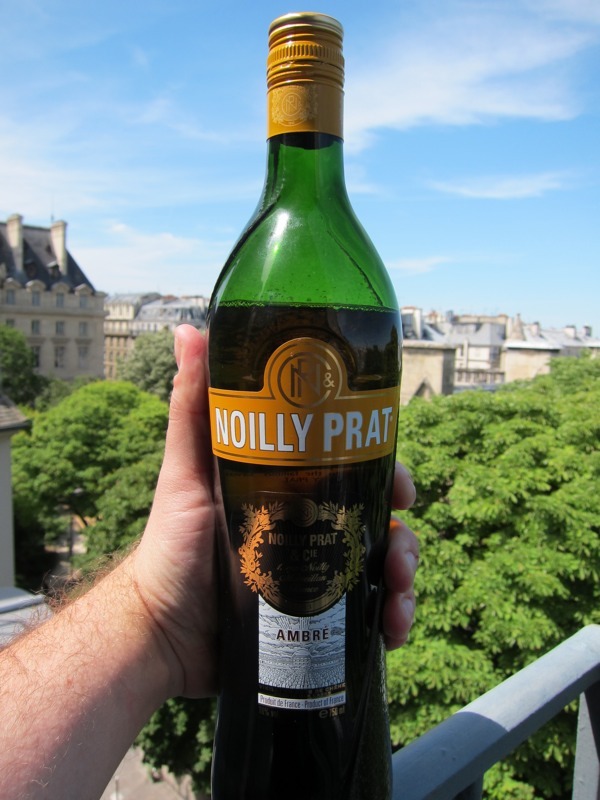 Just flew into Paris and my friend Safy presented me with a bottle of Noilly Prat Ambré, the elusive third vermouth from NP that is only available in France and in somewhat limited quantities. First taste is impressive, looking forward to trying it in a cocktail. P.s. You’ll hopefully see a number of these short trip reports as I make my way through France and Spain over the next three weeks.